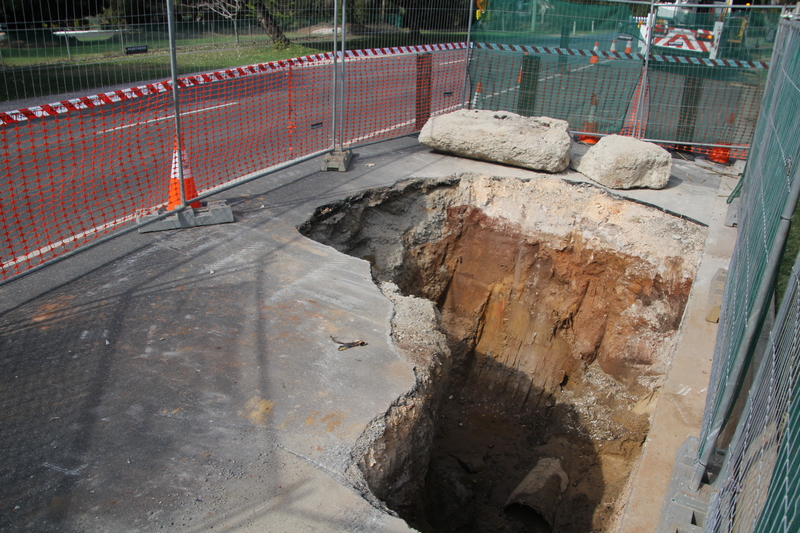 The sinkhole appeared just 30 centimeters wide at the surface, but extended two meters deep when it opened on the side of the road, opposite Cleveland Bowls Club. A Redland City Council spokesperson said they believe the sinkhole was caused by damage to the storm water system, and believe repairs will prevent the problem reoccurring in the future. “While uncommon, ground subsidence does occur from time to time in urban areas,” the spokesperson said. The sinkhole is the second to appear in Queensland in a week, after a 150 meter wide sinkhole opened up at a popular camping spot near Rainbow Beach on Saturday night, swallowing a car, a caravan and a camping trailer. 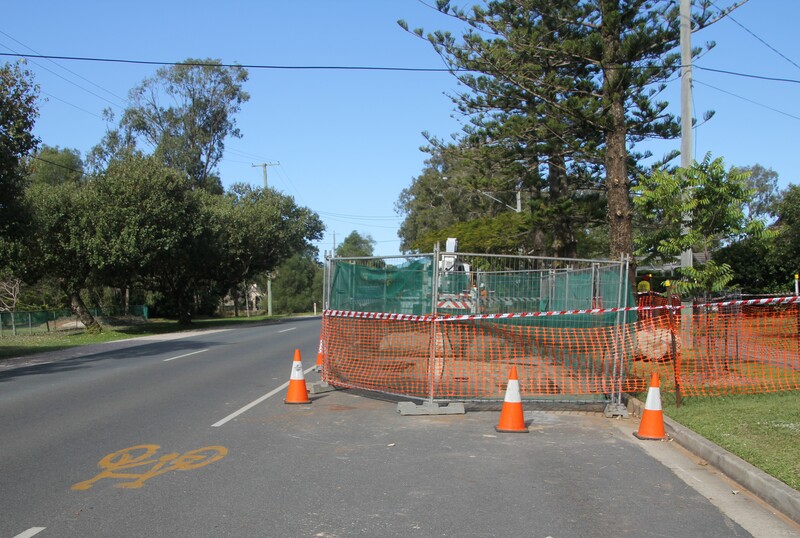 The Cleveland work site is fenced off with traffic control in place, while council has excavated a larger area to enable repairs.